This area is fully editable and can be used to say whatever you wish. This area is fully editable and can be used to say whatever you wish.This area is fully editable and can be used to say whatever you wish.This area is fully editable and can be used to say whatever you wish.This area is fully editable and can be used to say whatever you wish.This area is fully editable and can be used to say whatever you wish.This area is fully editable and can be used to say whatever you wish.This area is fully editable and can be used to say whatever you wish.This area is fully editable and can be used to say whatever you wish. SCHEDULE YOUR ULTRASOUND HOME INSPECTION TODAY! FREE ​ 90 DAY HOME WARRANTY & RECALL CHECK WITH YOUR HOME INSPECTION! YOU DON'T HAVE TO WORRY ABOUT YOUR NEW HOME'S APPLIANCES BREAKING DOWN, ROOF LEAKS, SEWER LINE ISSUES AND MORE WHEN YOU CHOOSE ULTRASOUND HOME INSPECTIONS. 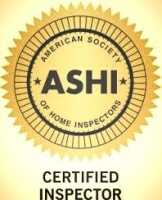 EVERY HOME BUYER RECEIVES A FREE 90 DAY HOME WARRANTY INCLUDED WITH THEIR ULTRASOUND HOME INSPECTION. YOU CAN ALSO REST EASY KNOWING THAT WE CHECK ALL MAJOR APPLIANCES FOR RECALLS. CLICK ON THE 5 TABS BELOW FOR MORE POLICY DETAILS. When you use UltraSound Home Inspections your not only getting the best home inspection in the business, but also a handyman for life! Included with every home inspection is our Ask The Expert Resource. This feature gives you access to ask a professional any question about your property for as long as you own the house. This can be especially useful for maintenence issues that may arise in your home where you would like an experts input and/or suggestions! For more details about this feature or if you have a question for one of our experts please click on the HOMEOWNERS RESOURCE icon below. DO YOU NEED HELP FINDING THE PERFECT HOME? CLICK ON THE LINK BELOW TO LEARN THE MOST IMPORTANT THINGS TO LOOK FOR WHILE YOUR OUT SHOPPING FOR THAT PERFECT HOUSE. We work one on one with you and offer every client a seasonal maintenance guidance e-booklet on maintaining your property valuefor the future. In addition, we will help get you comfortable with operating your new homes amenities such as sprinkler systems, thermostats, fireplaces or any other devices they may have questions about. Our UltraSound home inspectors combine both experience and professional training to estimate the life expectancy of a home and its features. Air conditioning, heating systems and septic tanks are just a few examples of components that will be evaluated for life expectancy which often helps eliminate unwanted surprises. Our inspectors take the time to educate our clients on helpful tips that can be used to extend the life of some of your home amenities too. All Ultrasound home inspections include a detailed and easy to follow home inspection report. Our easy to read reports explain any major or minor issues that were found during the inspection and contain detailed images. We fully understand the time sensitive nature of the Colorado housing market which is why UltraSound Home Inspections will email your inspection report within 24 hours. 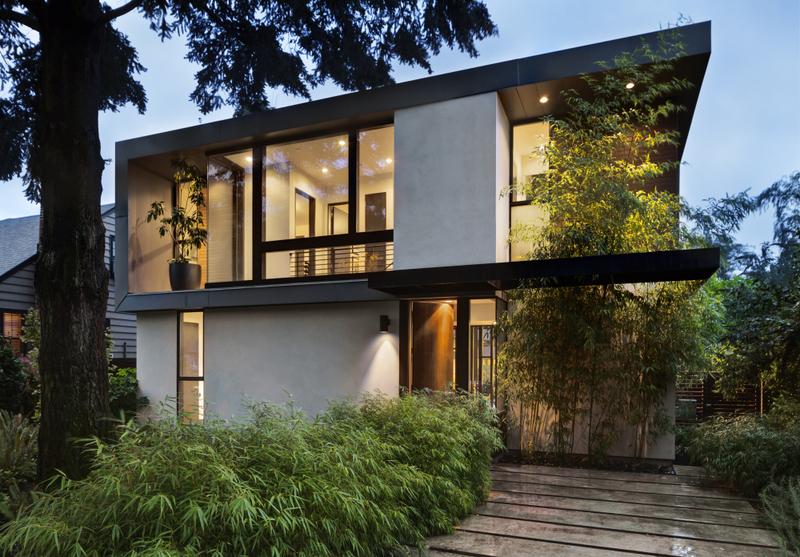 Need help with a contractor or do you have any particular concern about the home your buying? UltraSound Home Inspections offer special inspection add-ons. We can bring a certified technician or contractor to the inspection to help eliminate any additional concerns that you may have about the roof, heating system, sprinkler system and more! Our inspection company also has a engineer on call who can also answer many structual questions that you may have. We want every UltraSound client to feel confident and comfortable in their new home and with their home inspection. To help ensure this we give our customers free phone support for life! Plus if you are not pleased with the inspection performed on your home, UltraSound will gladly refund 100% of your inspection fee. Think positive and positive things will happen. This is one our mottos at UltraSound Home Inspections and is why our inspectors will not only point out defects that we find in your new home but also all the positive attributes that we come across. 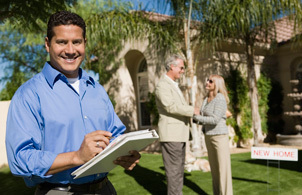 If any issues requiring attention do arise, UltraSound Home Inspections can connect you with a trusted contractor to help with estimates for repairs. All UltraSound customers will also receive exclusive discounts to popular stores and services including up to $500 in savings at Lowes! Other UltraSound partners include ADT Security, Nationwide Insurance, Papa Johns, Direct TV, PODS and more! Please ask your UltraSound Inspector for further details about receiving these exclusive discounts. If you have any questions or would like to speak with an UltraSound Home Inspector please contact us by phone (720) 391-3879 or by email at [email protected] . We look forward to helping you with the purchase of your next home and would like to thank you for visiting UltraSoundHomeInspections.com. Don't just take our word for it, click here to find out what our customers had to say about their experience with UltraSound Home Inspections.